Dogs love treats and owners love to give them. 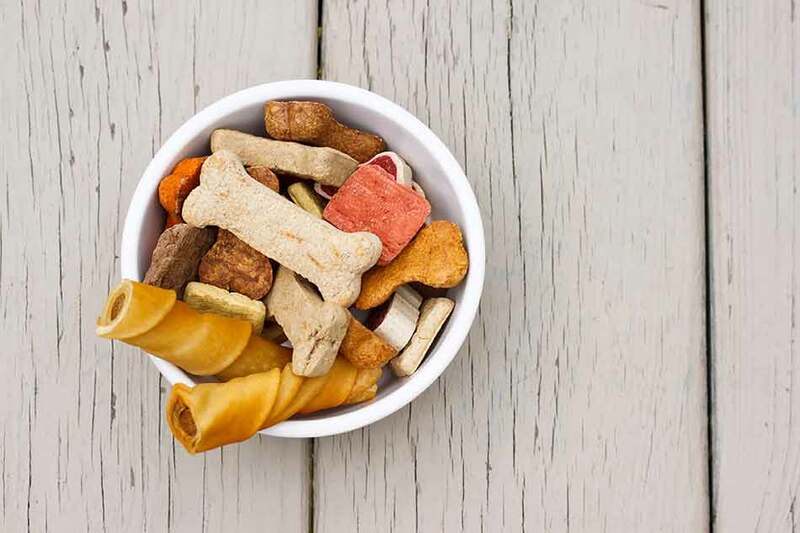 Pet treats can be great for nothing more than getting your dog’s tail wagging, but tasty treats serve other purposes too. They can provide a nutritious addition to your dog’s daily diet, as well as helping to keep his teeth in tip top condition. Treats can also be a useful tool when training your dog. When good behaviour is rewarded with a tasty titbit it can quickly become habit. Happily, the ‘Dog Deli’ here at Burston Garden Centre supplies all the treats your dog could need. They range from specially made dental sticks and deliciously chewy rawhide to old favourites like the classic bone, crunchy on the outside and filled with nutritious bone marrow beneath. Dogs love them all. In fact, our Dog Deli stocks a wide range of carefully chosen light treats to help your dog thrive, while not interfering with main meals. If you’re looking for a treat for a specific purpose or just need some advice, please ask a member of our pet department staff. We’ll be happy to help. And remember, good pet care is about much more than just treats. We have a fabulous new pet hygiene and grooming range and a new super-strong dog toy range too. At Burston we also stock everything you need to make your pet feel very pampered indeed, from pet beds and cushions to a variety of pet accessories. Why not pop down and see for yourself? Your pet will thank you for it.